Crepeaffaire is launching THE November Instagram competition. 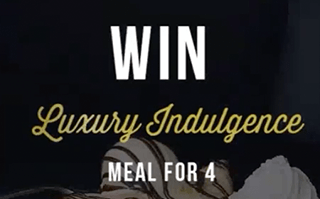 One Lucky winner will be treated to a very indulgent prize that they may and may not want to share: an indulgent meal for 4 from our brand new Luxury collection. The prize includes 4 indulgent crepes & 4 indulgent shakes! To ENTER, simply tag 3 people you’d like to share this prize with, and make sure you are following @crepeaffaire. Entries close 30th of November 2017 and the #winner will be picked at random shortly after.